I bought these teddies (3 of them) for granddaughters and great granddaughters. They were really cute, the price was right and the girls enjoyed them. I bought this to give to my great grand son who just turned 8 months old. The teddy bear is just the right size for him to hold onto. It should make a perfect sleeping partner for him, and I love the personalized feature. I purchased this bear for my granddaughter very happy with it! Cute,cuddly,great quality. I had her name personalized on the shirt it's beautiful. I liked how I was able to personalize it for a friend. Cute idea for Valentine's Day instead of candy! 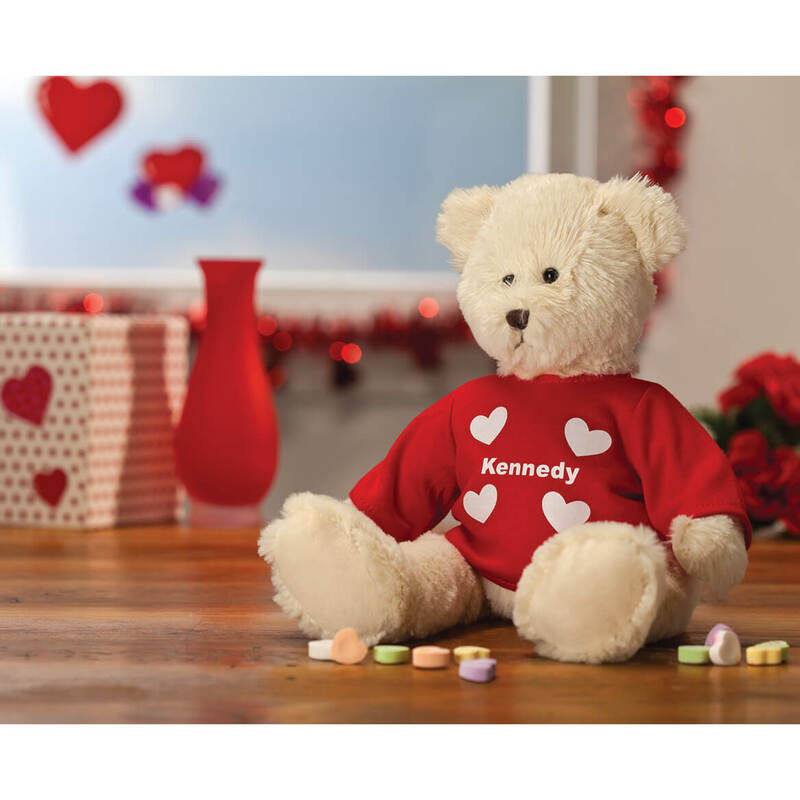 Everyone loves a teddy bear!!! BEST ANSWER: Thank you for your question. 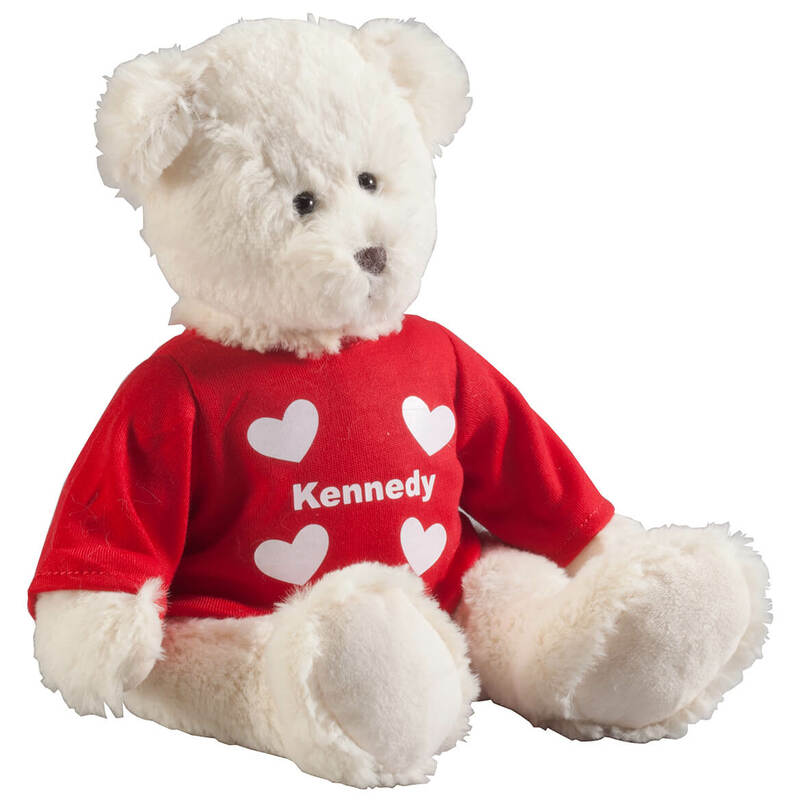 Personalized teddy bear measures 11" long from head to paws; 7 1/2" high when sitting; approx. 5" wide at base. We hope this information will be of help to you.